Big mistake to tie the wife to such a monstrous plan even if only in Jello. She should always have an out without feeling she would let you down or ruin your trip. When my wife and I did it we tent camped all 30 days/ 11,000 miles but we always had an out so she never felt any pressure to continue to achieve any goal of mine. We didn't even call it our Alaska trip until we got home. The mistake is to set a final destination as a goal and plan anything more than 3 days out; divide it into reasonable chunks and do most of the planning on the road. 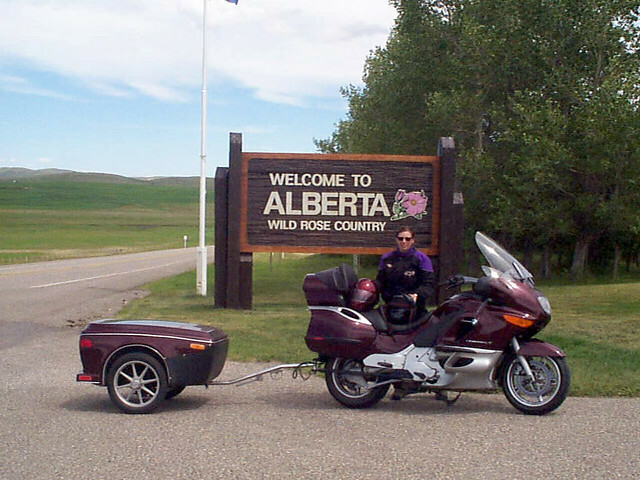 We said our trip was west to Banff and once we got there we would go on if we were having fun and otherwise head home. Once at Baniff we said we'd go to Dawson Creek and again make the "still having fun" decision there. Next decision points Whitehorse, Anchorage, then Fairbanks and Dawson City. We went up the Alcan and back the Cassier. If it was raining someplace we went someplace else. We often changed the route after talking to people along the road; we never would have done the Whittier Tunnel and other interesting stops otherwise. We had a great time when some of the other couples we talked to were miserable. Pooch, If the conditions are dry just about any bike/trike can make it. If it's wet it will be nasty on any bike. It is a dirt road.... 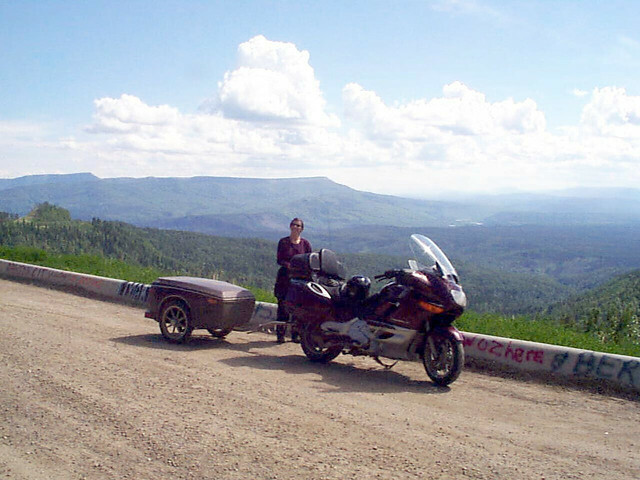 In 2010 my wife and I rode our 650's and it was dry. On the whole trip I was thinking I could of ridden my wing. We were on the haul road on June 22-24 and never saw a bug other than in Wiseman. I've done it 4 times, all four trips tent camped every day, on a V-Strom 1000, BMW K1200LT, and twice on a Triumph Explorer. On one trip my son rode with me on a 600 Bandit with all of his camping gear, and we first rode to Key West to start . Not only was every trip different, each direction was different. 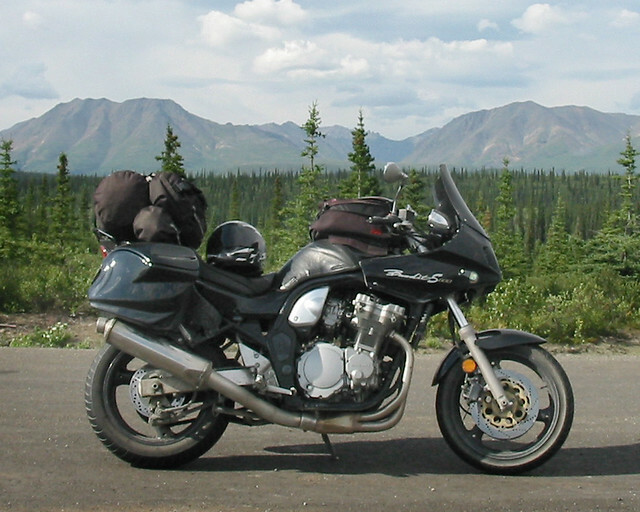 Every trip was fun, last years trip I rode with 2 other friends and we all agreed it is now a very "civilized" trip, no problems with roads, gas, or camping, other than the Dalton Hwy north of the Yukon; very different from the first time I did it in 2000 (the Cassiar was unpaved). Having fun is the key . You are getting some great info here. The last time I went we left KY on June 15th, and had pretty good weather. Rain and colder temps are just part of the experience. Most construction zones will be in good shape, but you can run into rough sections. On the last trip up we found the worst was near the Alaska border as Bob was talking about. We had days of frog strangling rain. The potholes in the hardpacked gravel surface were bad enough that we both had to replace the fork seals on the bikes. With all the rain you couldn't tell just how deep the holes were. On the trip home they were in good shape. Just take your time in the construction zones. How is the Haul Road in late June early July? I'm thinking about doing it on my reverse trike. It changes all the time depending on the weather and construction. The first time I had great weather, the second time we had a bit of everything. On a trike you should be fine, just take your time and be sure to give the trucks the right of way, always. 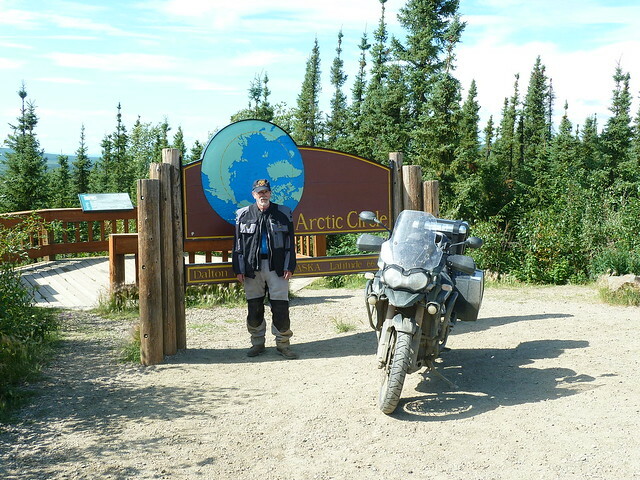 I would never waste my time taking a passenger north of Fox Brewery, and Howling Dog across the street, just north of Fairbanks, or if you must ride the Dalton Hwy, I wouldn't go north of the Arctic Circle. There are too many enjoyable things to share, see, and do rather than beating your wife with that hammer. 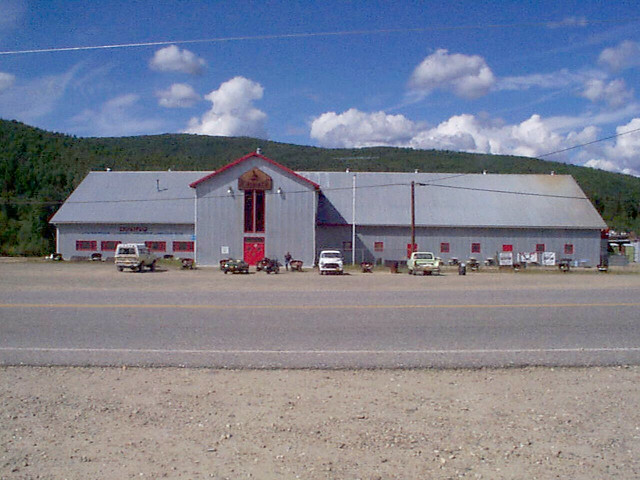 A much better recommendation is the Top O' the World Hwy; from Dawson, through Chicken, to Tok. I am also planning to make the ride for the middle of June 2018. My Alaska plans for this summer 2017 fell apart when I was diagnosed with right lung cancer at the end of May and I have spent all summer with the chemo, surgery 10/17 and now halfway through radiation treatments. So I will be pulling the trailer I built with my 2001 GL1800 and leaving Brattleboro, VT heading to Gouverneur and Richville to stop overnight to visit lifelong friends from my early years. I grew up in Gouverneur and our old family farm is the present site of the NY State Corrections prison. Second day I'll be crossing the St Lawrence and heading towards Ottawa and HWY 17. That sure beats going through all the big cities with their traffic conditions. I would consider, if I were you, getting a good bra to place on the nose of the trailer. I have to do this myself with my own trailer. Also get some cans of bug spray containing Permethrin. You can get this bug spray at Wal Mart probably a lot cheaper than waiting until you get to Alaska. Permethrin is great long lasting bug spray to use on your tenting materials and can withstand some exposure to rain without washing off. Any spray like OFF or Deep Woods can be applied to skin areas. I've been advised the mosquitos in Alaska are like mini helicopters and very hungry. Maybe we'll meet up going out across or somewhere up in Alaska. Get yourself a new copy in March of the Milepost which is the tourist's bible to traveling the Alaska Hwy. Amazon sells this tourist guide. 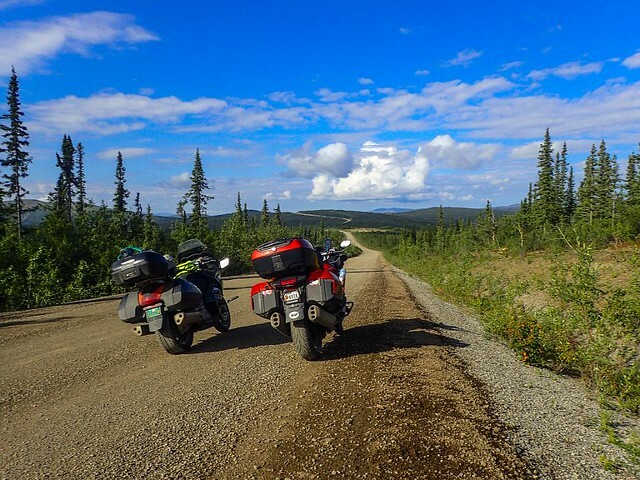 If your interested in the Haul Road you need to check out Alcan Riders (Jacks) information. He has the most experience of anyone I know riding it and has done it many times. Usually, mid May through June is the best weather. Monsoon season in July. Usually is the key word here. Last summer we had lots of rain all summer long. We live in Wasilla and my wife works in Deadhorse (2 on 2 off). If you have any questions let me know. Lots of room to camp at our place and a shop to work on bikes if you need it. Road conditions on the Alaska Highway are not unlike road conditions on many secondary roads in the Lower 48 and Canada. It is the tremendous length of the highway, combined with its remoteness and the extremes of the Northern climate, that often result in surprises along this highway. Historically speaking, however, the Alaska Highway has rarely been closed by any weather-related event, and even then usually not longer than a day. All of the Alaska Highway is paved, although highway improvement projects often mean motorists have to drive a few miles of gravel road. The asphalt surfacing of the Alaska Highway ranges from poor to excellent. Much of the highway is in fair condition, with older patched pavement and a minimum of gravel breaks and chuckholes. Recently upgraded sections of road offer excellent surfacing. Relatively few stretches of road fall into the “poor” category, i.e. chuckholes, gravel breaks, deteriorated shoulders, bumps and frost heaves. 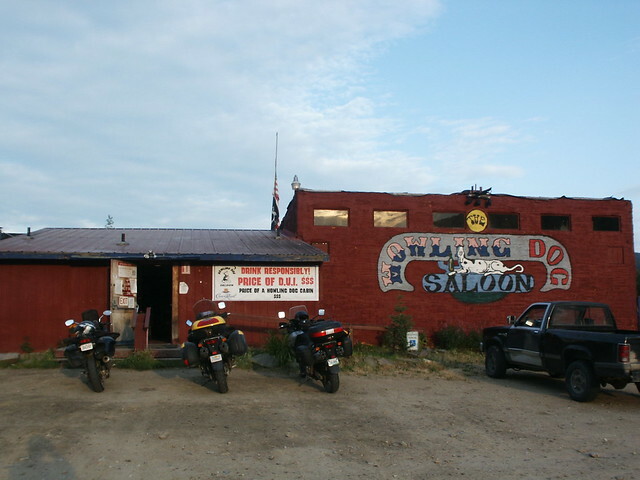 I came down the Alcan in November to Arizona. I will end up in NY in April and drive back to Alaska. BTW....I'm doing it in a pickup and camper. For the last 40 years you can depend on it being rough between Destruction Bay and the Alaska border. Other than that it is pretty good. In BC and Alaska they have good road condition reports with cameras, the Yukon just has road conditions. You can see where the construction is/will be. If it's a wet summer.....they have mud slides, if it's dry they have forest fires. Try not to get below a half a tank of fuel. That way if the road is closed for some reason, you don't have to sit there and wait. These links will answer many of your road construction/conditions.